To be fair, all of America mostly ignored the Civil Rights Act of 1875. Although it was perhaps the most far-reaching legislation passed by Congress during the Reconstruction period following the Civil War, it is obvious from the very public opposition to this law that most white Americans refused to even consider equality for African Americans. 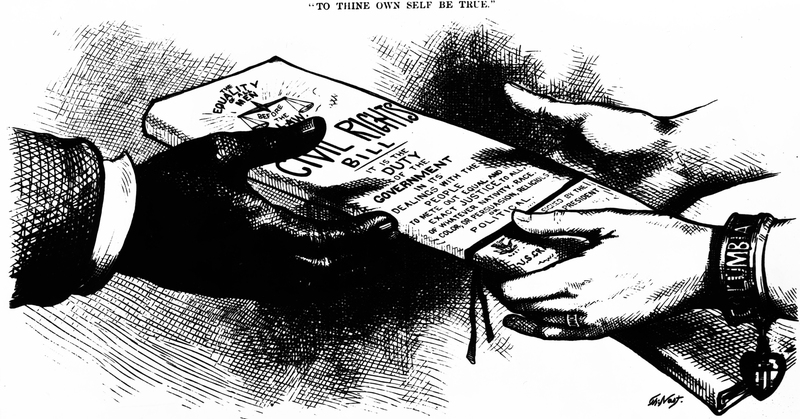 Although the Civil Rights Act promised broad access for African Americans to establishments catering to the general public, as reflected in this Harper’s Weekly cartoon by Thomas Nast, lax enforcement and public threats rendered the legislation ineffectual. White people, the Enquirer claimed, would flock to hotels that refused accommodation to African Americans and “the public” would gladly contribute money for their legal defense. Colonel Robert James Harlan informed the meeting that he approved of the act, and was glad that it did not apply to schools. Colonel Harlan was an African American and an ex-slave who was actively engaged in creating separate schools for the African American children of Cincinnati. The Crawford House, on the southwest corner of Sixth and Walnut streets, was the only Cincinnati hotel prosecuted for discrimination under the Civil Rights Act of 1875. The hotel was exonerated. Meanwhile, Cincinnati hoteliers did their best to find how little they needed to do to meet the letter of the law without actually allowing any “colored” trade. The Enquirer sent a reporter out to survey hotel owners and found that the few who would speak on the record planned to set up segregated rooms in their establishments, thereby permitting African Americans to spend the night, but not in a bed that might later be offered to a white customer. It appears there was only one lawsuit filed in Cincinnati over the Civil Rights Act. An African American minister named Alfred A. Price arrived in town from Gallipolis, Ohio, and sought lodging at one of the city’s “colored hotels.” Unable to rouse anyone at the late hour, he found himself at the Crawford House on the southwest corner of Sixth and Walnut. Told that the hotel was full, he asked if he could sit by the fire until his connecting steamboat arrived in the morning. He was refused even that comfort and sued. 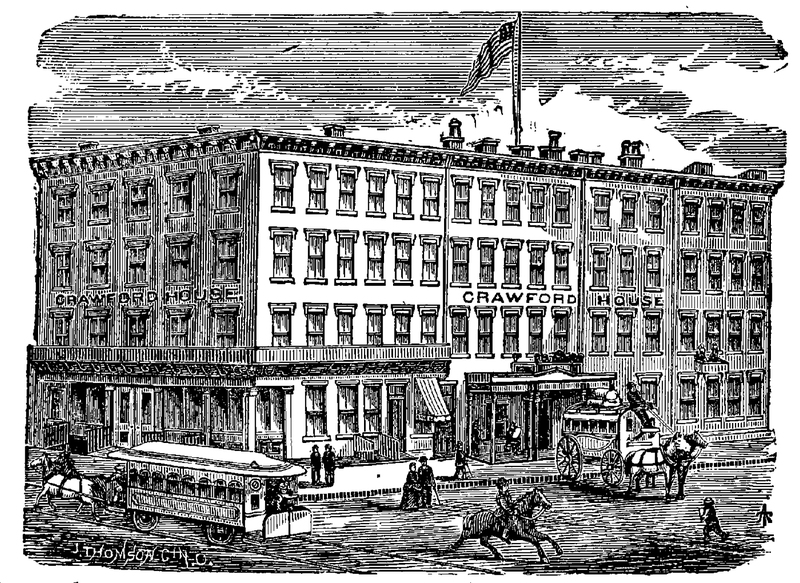 A federal magistrate exonerated the Crawford House, stating that everyone is equally turned away when a hotel is full. The Civil Rights Act had a brief life. Most of it was tossed out by the United States Supreme Court in 1883, but it had not been enforced to any extent since its passage. President Ulysses S. Grant wanted a very different law to protect African American voters from violence in the South, and he decided to ignore the law Congress gave him instead.